This topic contains 11 replies, has 1 voice, and was last updated by Billy 3 years ago. 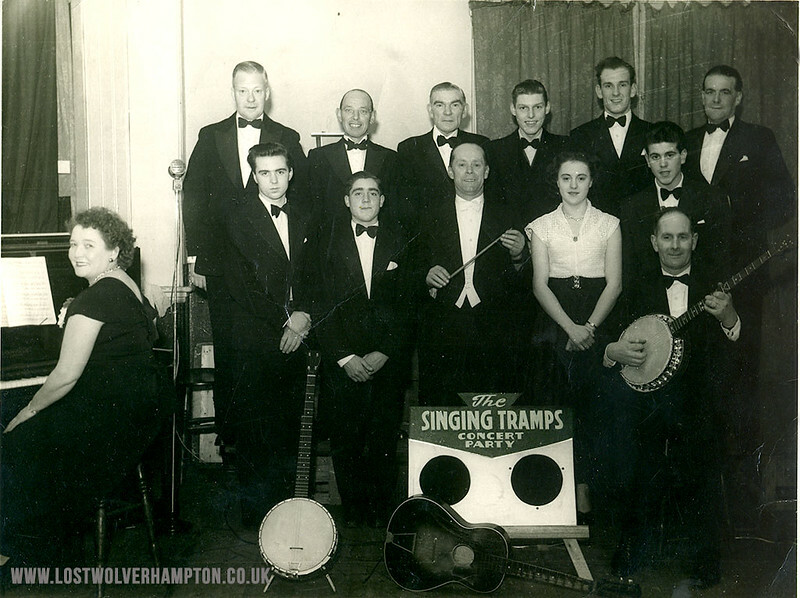 David Greenaway – Wolverhampton Surrounding areas Chat & Nostalgia. 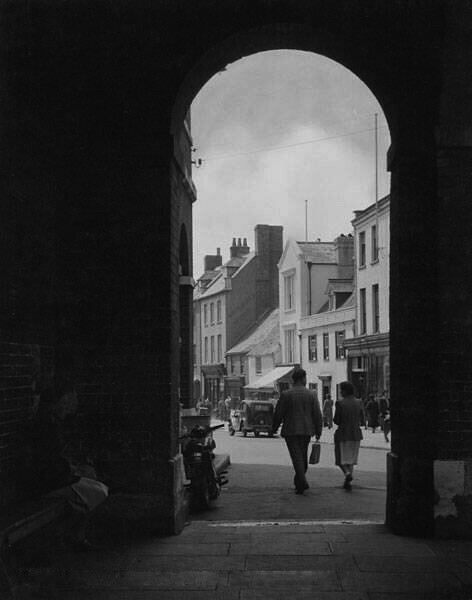 posted this evocative photo of two young ladies sitting beneath an arch supposedly captioned Wolverhampton. There has been enormous interest shown by the members to come up with the answer to the location. 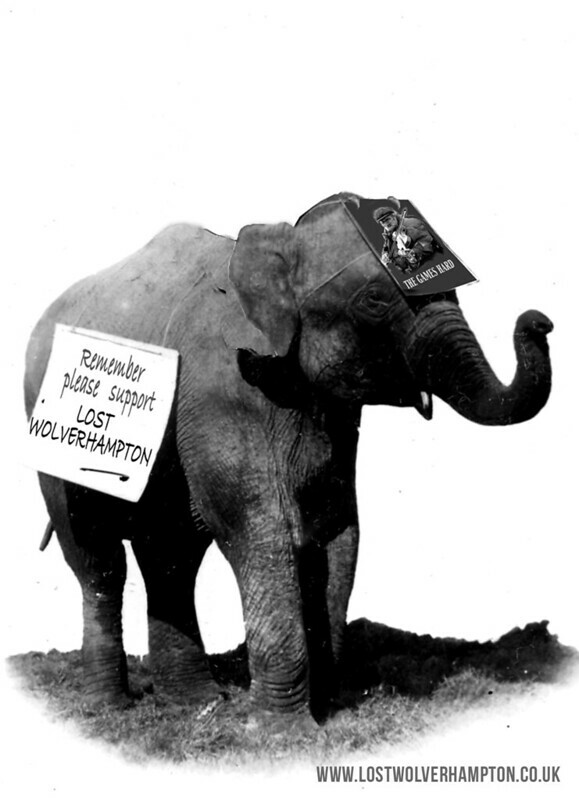 I have committed myself by stating it is definetly not a Wolverhampton Scene and would love to discover the exact location. I have started this thread to help when another situation arises such as this. 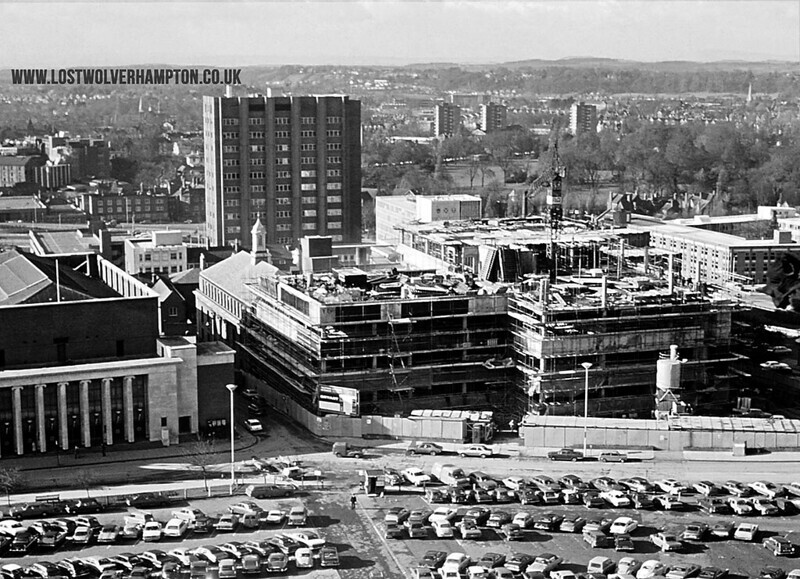 Imagine you have a jigsaw puzzle of Wolverhampton in bygone days and there are a few pieces you cant place.I will do my best to help you complete the picture. 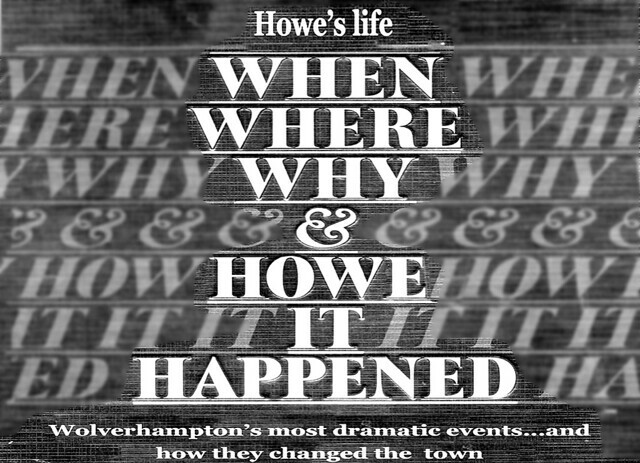 To prove a point that you should always get a second opinion, and not take everything at face value this is one of many i have found on the Black Country History site, Who as we know aren’t Infallable. Description: A trolleybus and other traffic. Note the overhead power lines. Not a trolley bus it is a Guy Arab Motor Bus. 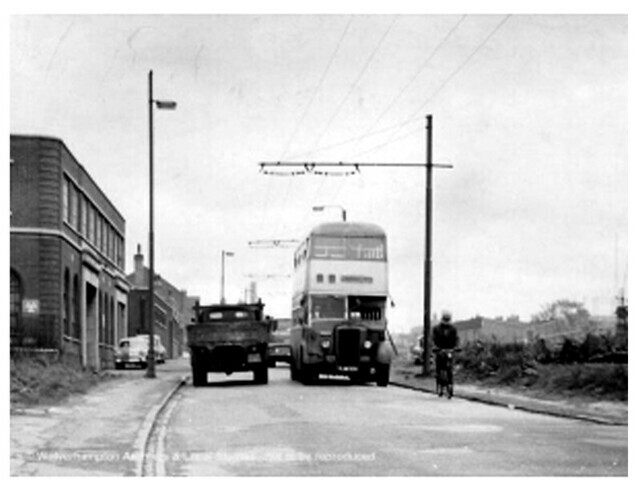 The trolley bus wires were there to be used only on occasion when Molineux Street was closed and this caused the diversion of the Fordhouse trolley bus service up Lower Stafford Street. The Wolverhampton Co-op Society Buildings are on the left of the lorry which has just past Bone Mill Lane and Beaumont Street. Above the cyclist on the right are the new clinic building in Red Hill Street. Shirley wants to see photos of The Telephone Exchange in North Street.to help her recall the happy times she spent there as a telephonist. I can’t recall shirley if you mentioned one of the ladies was your Auntie Vi. 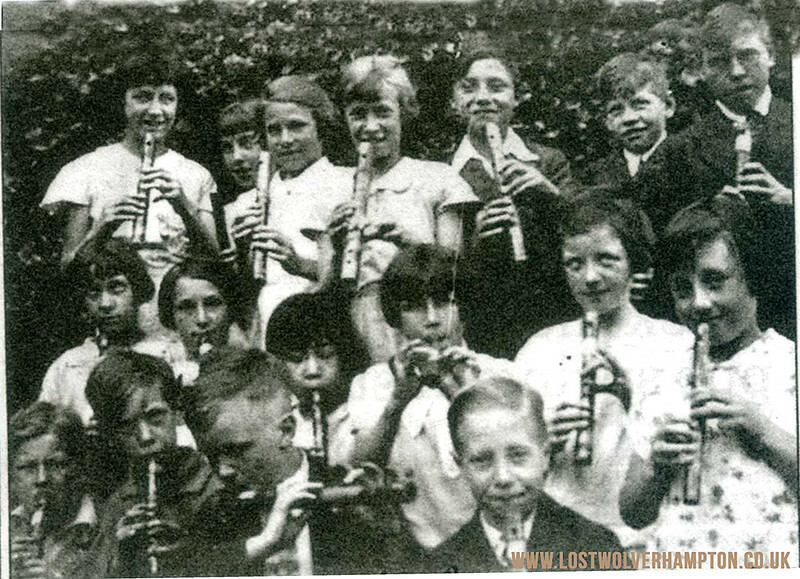 I can’t recall how I came across this charming photo and the exact date also alludes me at present although I would say late 1930’s early forties it is of The St Stephens School, Recorder Group. But it answers you question on the first proprietors of the Fish & Chip shop.at the bottom of the nineteen steps. 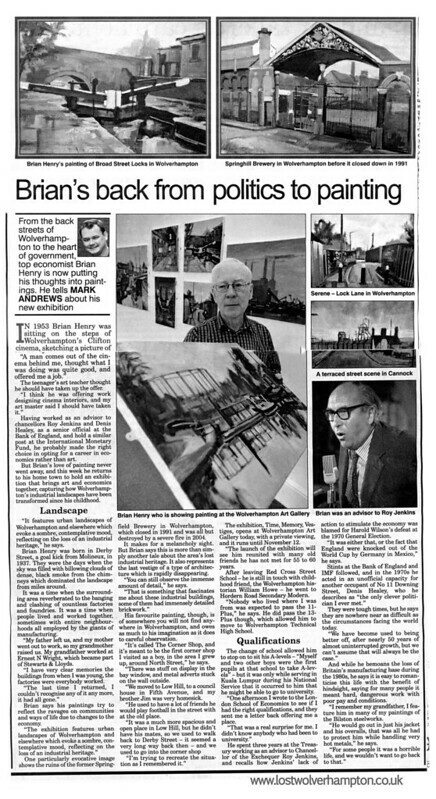 My dear friend Brian Henry an Old Wulfrunian now residing in London returned to his beloved home town to exhibit a collection of his wonderful paintings in the Lichfield Street Art Gallery. I thought this belated interview he gave with the Express & Star in October 2011 is well worth recalling. 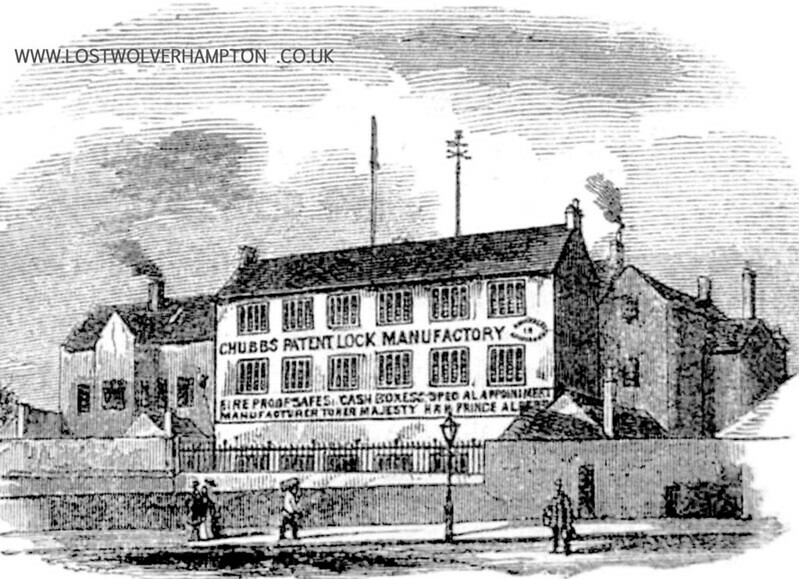 When Chubbs Lockworks took on the vacant building in Workhouse Lane the top of Horseley Fields and the old workhouse tenants moved to the new building near the bridge on the Bilston Road, in 1839, although there were some improvements to the old system, the spartan treatment of the paupers continued, and there can be little doubt that the children were treated as badly, as before. They had some teaching, using pupil teachers, and the purpose and content can be guessed from a report of 1849 that they had been examined ‘in the historical points of the first five books of the Old Testament. The Poor Law commission had to insist that they brought up in the religion of their parents. The teaching was intended to fit the boys for labouring work and the girls for domestic service, and there is a report on the fate of one group of these girls. Of twelve girls sent out for service in a period of six months one had died, nine had been returned as useless, and two had been retained. The Guardians were surprised to find that the girls were returnes as soon as their were worn out, and decided in future they must insist on a weekly wage of nine pence from which the girls could clothe themselves. From 1860 the children had the good fortune to come under John Dutton, a schoolmaster of remarkable qualities. He devised a scheme to enable them, at least for a short time, to leave the surroundings of the Workhouse. He formed a drum and fife ban, and taught the boys to drill. They became a popular form of entertainment at the larger houses in the district and and at public functions,and were the boys went so did the girls. In may 1860, they gave a display in the Rectory grounds on Waterloo Road, they were all fed, and had the pleasure of hearing Rev Isles reminding them ‘of all that had been done for them, that day and previously’. The following month they performed at Chillington. Hundreds turned out to see them march to the station and on their way from Codsall it was said; ‘old ladies cried with pleasure’. They were an attraction at the annual fair parading in front of the Exchange, and the following year, the idea have spread to other schools, ‘there was a gathering of school children on the the cricket ground at the back of the Rectory on Waterloo Road’the Union boys being accompanied by the boys of the Bluecoat School and St Peter’s. ‘The system of Drill’said the Press ‘has been introduced to other schools.’ They were becoming very skilled, executing movements ‘of a more advanced character than we are accustomed to see at the drills of our own riflemen, including echelon march of subdivisions and sections taking ground to the right and left’. As a just reward they had plum cake and ginger beer and a barrowload of toys from the St Peter’s congregation. I did this little story awhile ago and It was instantly brought to mind when I received this similar most interesting story from John Favill our dear friend and member from the U.S.A.
My cousin sent me a copy of a letter found in her father’s papers after he had died. her father Charles was my father’s youngest brother. So who was Dr Mark? What or who were the Little Men? Well I knew that my grandfather William John Favill was 8 years of age in 1857 as I had a copy of his birth certificate which told me he had been born in Monks Coppenhall ( Crewe). His parents were married in Walton-on-the-Hill in Liverpool as I also have a copy of their wedding certificate William John, my grandfather had been born June 12, 1849. To cut the story short Dr Mark headed an orphanage in Deansgate, Manchester, later called the Royal School Of Music beating for many years the Royal School founded by Sir John Barborolli of the Halle Orchestra fame. The school/orphanage was for boys who were either orphans of musical parents or poor boys showing musical talent. Dr Mark also offered musical apprenticeships at a “nominal” annual charge. To raise money for the venture Dr Mark and his Little Men toured the country giving musical concerts to which I found numerous mentions and references, plus advertisements, in various copies of the Era Newspaper of the period. Then I located in the Shrewsbury Library, evidence of the standard reached by the Little Men. and this is the front page of that program. By the Command of her Most Gracious Majesty The Queen. 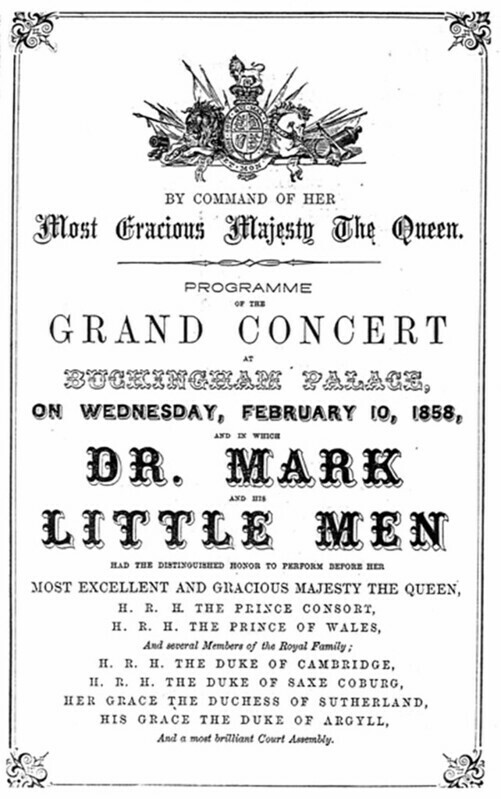 Programme of the Grand Concert at Buckingham Palace on Wednesday, February 10, 1858 and in which Dr Mark and his Little Men had the distinguished honor to perform before her. It goes on to list the Royal Personages present. This was to celebrate the 18th Anniversary of the marriage of the Queen and Prince Albert. The program shows the list of the music played in two halves and it lists the names of all the performers. My grandfather’s name is not included. However I have a part of another programme which also lists all the members of the orchestra on that occasion and my grandfather’s name is included and this time together with most of the Command Performance names also. He is listed as playing second violin. 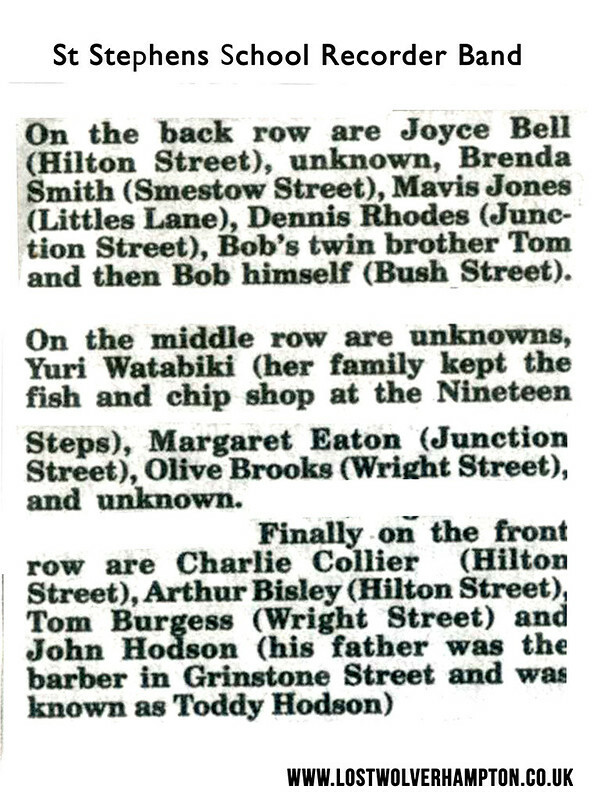 As a matter of interest I also have a list of pupils that gives the town or city from which they came, and three of these listed are shown identified as from Wolverhampton. They are Masters Sharlock age 9; E. Lambe age 10; J. Ford age 10. There is a Sharlock listed as a soloist and as member of the orchestra playing the piccolo at the command performance. This list of pupils well illustrate that boys were recruited from many areas around the UK. 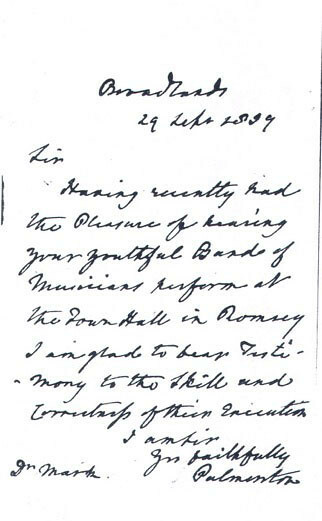 I have in addition a copy of a letter written by Lord Palmerston , the UK Prime Minister 1859 to 1865, stating how much he had enjoyed the concert he had attended given by the Little Men. You may have gathered by now my favourite animal is the Elephant. The tragic event that took place this Easter Week regarding that revered Muslem shopkeeper brought to mind this story I was told many years ago. When he was asked about the relationship between these three apparently incompatible religions, he told a story about a city of the blind. One day the news came that an elephant was passing outside the city, so the townsfolk decided to send a delegation to report back as to what an elephant was. Three men left and stumbled forwards until they found the beast. They felt the animal and headed back to report. The first man said “ An elephant is like a vast snake!” The second man was indignant at hearing this: What nonsense!” he said “I felt the elephant and what it most resembles is a huge pillar.” The third man shook his head and said “Both these men are liars! I felt the elephant and it resembles a broad flat fan”. All three men stuck by their stories and for the rest of their lives refused to speak to each other, each professed that they and only they new the truth. Of course all three blind men had a measure of insight. The first felt the trunk of the elephant, the second the leg, and the third the ear, but not one had begun to grasp the totality or the greatness of the beast. If only they had listened to one another, they might have grasped the true nature of the beast. But they were to proud and preferred to keep to their own half- truths. “So it is with us ,” said jalal-ud-din “We see the Almighty one way, the jews have a slightly different conception and the Christians a third. To us all our different visions are irreconcilable. But what we forget is that before God we are like blind men stumbling about in total darkness.